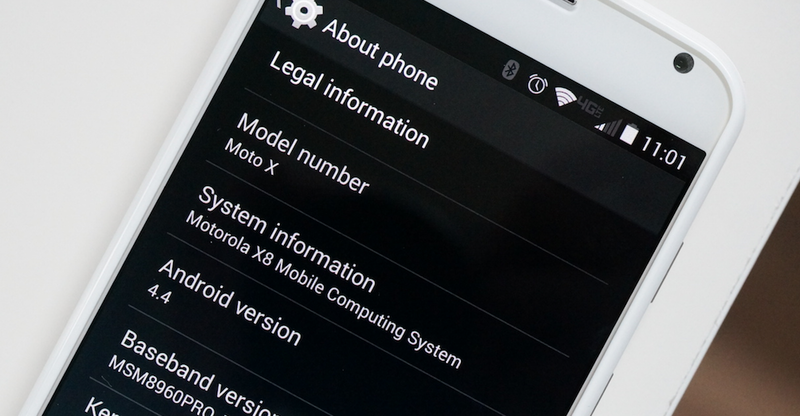 According to Motorola’s Punit Soni, the Moto X in Canada will be the first to officially receive Android 4.4.2. In a blog post published this morning and after talking about Motorola’s new Gallery app, Soni mentioned that the update should start rolling out this week to the Moto X on both Rogers and Fido. Yesterday, we showed you a couple of U.S. Moto Xs that have received the 4.4.2 update already, though nothing has been officially announced for any of our local carriers. We are pretty sure that those were rare cases where a couple of lucky individuals received updates long before they should have. In fact, no soak tests have been announced by Motorola, so these two Sprint and Verizon devices probably got looped into an internal test or something similar. Tough to tell if the update will bring anything exciting, since it is just a point release. As soon as we know more, we’ll be sure to pass it along. To our Canadian friends, enjoy.